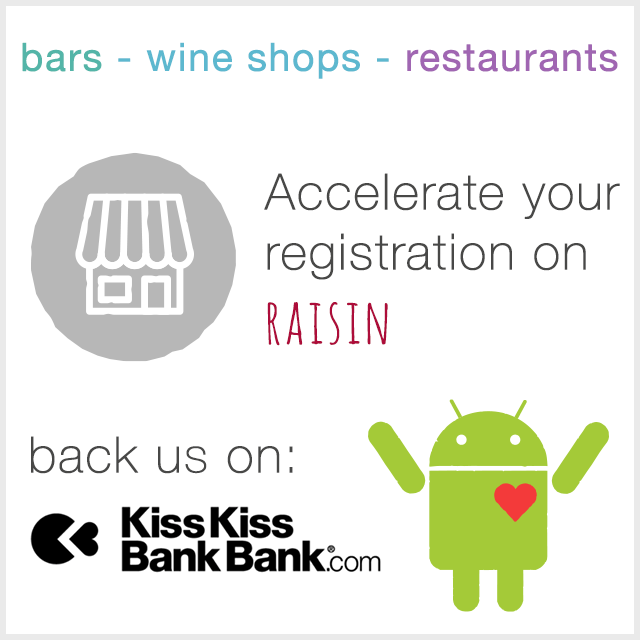 Raisin > Submission overload: 480 establishments awaiting moderation on Raisin! A sign of the times, or the price of success? 😉 The world of natural wine seems to get bigger and bigger, everyday and all around the earth. It is indeed great news! – receives a confirmation message. This process takes an average of 20 minutes per place, giving 15 days of work to process all pending establishments. Raisin is an ENTIRELY FREE app created and curated solely by VOLUNTEERS. To make your establishment registration go faster, you can help us to finance the Android version, so that everyone can enjoy the app!